"Lord of Tears" (2013) is a haunting new horror movie that takes place in a crumbling old country mansion in the misty Scottish Highlands, starring David Schofield, Alexandra “Lexy” Hulme, Jamie Scott Gordon & Euan Douglas from writer Sarah Daly and director Lawrie Brewster. 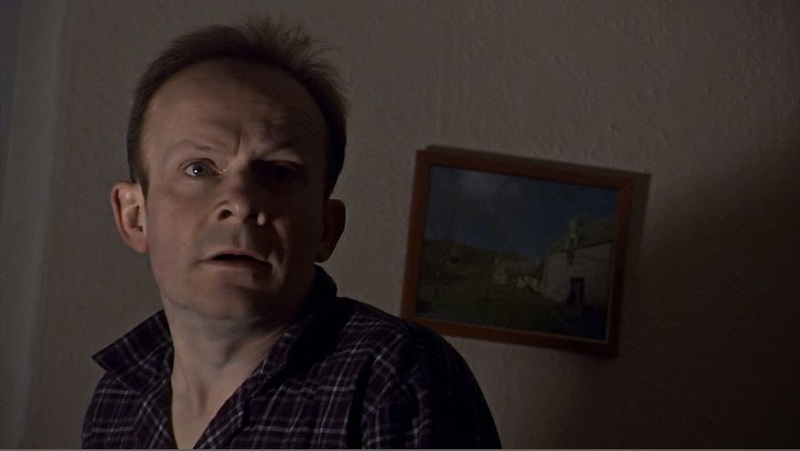 James “Jamie” Findlay (Euan Douglas) is a school teacher who inherits his family’s ancestral estate, Baldurrock House, in the remote Scottish Highlands when his estranged mother dies. She also leaves him a letter reminding him of the reason he left the home and why he must never return there. Upon reading the letter, Jamie’s subconscious memories start to surface and he is once again being haunted by his past. James discusses his mother’s death and his growing concern about his past with his childhood friend and coworker, Allen Milton (Jamie Gordon) who assures him he is just going through the grief of losing his mother. We also discover Allen is going through his own trials with the illness of his father. 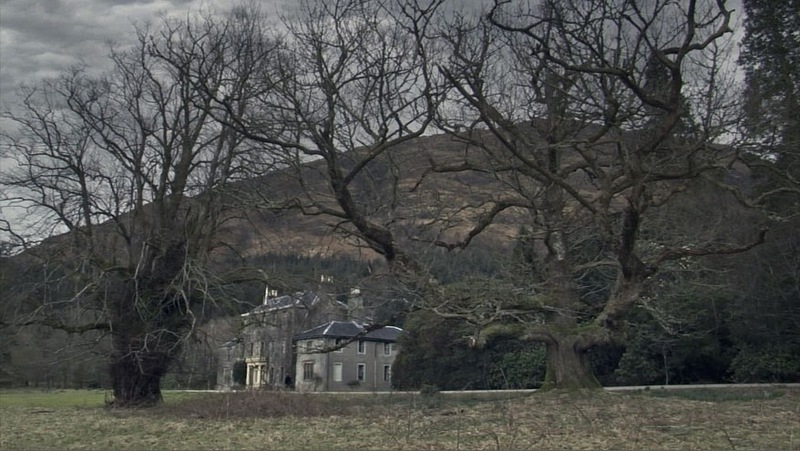 To discover what is behind his long lasting terror, James returns to his childhood home, a large, old mansion in the remote Scottish countryside. 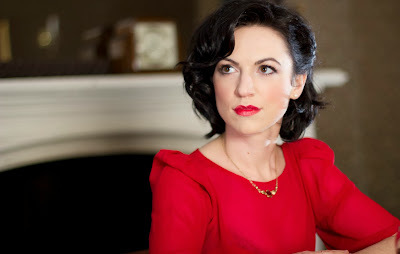 Upon his arrival he meets Eve “Evie” Turner (Lexy Hulme), a beautiful young American woman who has been staying on the estate. Evie is quite striking and extremely friendly and she quickly attracts the adoration of the lonely and increasingly terrified Jamie. She helps him with his investigation to get to the root of his terror. 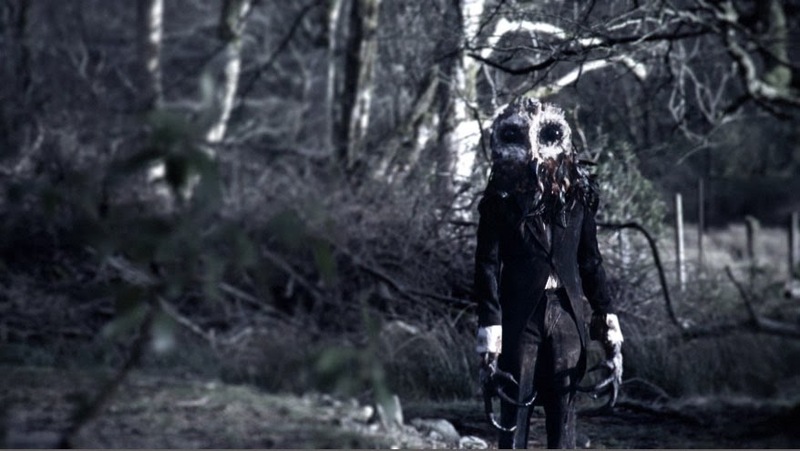 Lurking on the estate is a tall, eerie, quite dapperly attired figure with an oversized owl head and long talons for its fingers. What is the significance of this creature that Jamie knows he has seen in his childhood and adult nightmares? 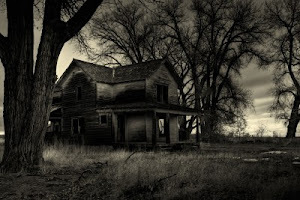 The depth of his terror builds as he uncovers the truth of what happened at Baldurrock House and what is yet to happen. 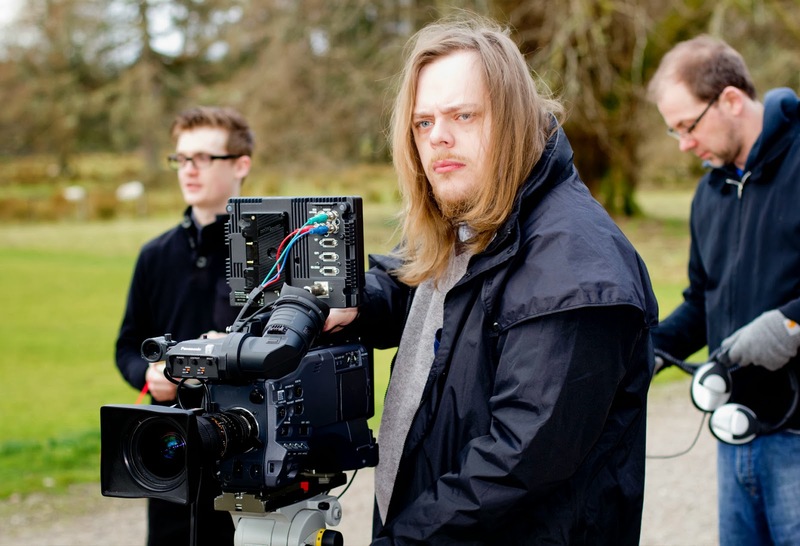 Director, Lawrie Brewster, has endeavored to make his film "Lord of Tears" in the vein of classic British chillers like "The Wicker Man", "The Haunting" and "The Innocents". 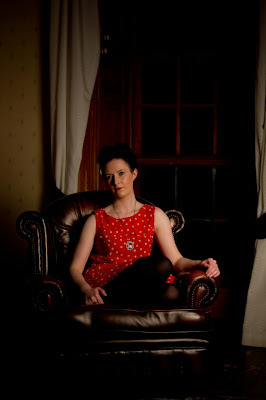 The multi-talented, Sarah Daly not only penned the screenplay, she also wrote and performed some of the hauntingly beautiful vocal pieces on the soundtrack as musical artist Metaphorest. After working hard to make a polished horror film that created a unique and uncanny antagonist, the Owl Man, which drew inspiration from classic mythology and lore, ancient history and modern legends, the dynamic duo of Lawrie Brewster and Sarah Daly have been working overtime over the last year to get this film released. They conducted a highly successful Kickstarter campaign, found additional funding and formed their new production company, Hex Media and along with producing partner, Dark Dunes Productions, successfully released the film this month. Certain scenes from “Lord of Tears” will remain with you long after first viewing. The wonderfully talented and beautiful Lexy Hume steals the show in some of her scenes especially her scene where Evie is performing an extravagant dance for Jamie in the main room. Evie’s classic beauty is featured most in the scene where Jamie is in the swimming pool and she enters down the spiral staircase to join him – with the haunting melodies and vocals that Sara Daly (Metaphorest) has provided, the scene really shines. The scenes of Moloch, the Owl Man, are truly eerie and the first time Jamie sees him appear in the forest brought chills down my spine. 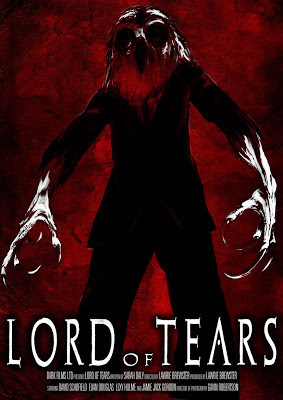 “Lord of Tears” is a supernatural and psychological thriller that knows how to build suspense and terror. 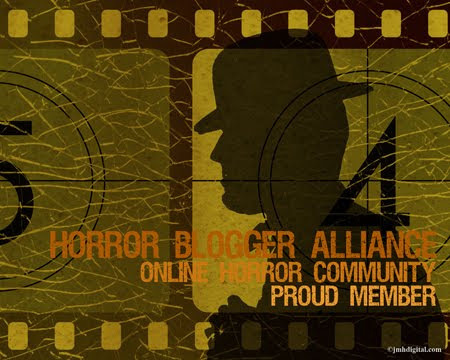 With very little blood, lots of uncanny imagery, characters we care about and a house that is a character in itself, the filmmakers were able to craft a very scary film which reminds me of the atmospheric horror chillers of my youth that I have always enjoyed the most in the horror genre. 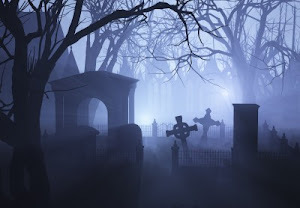 If you enjoy classic horror movies that immerse you into eerie atmosphere and build an uncanny sense of suspense, check out “Lord of Tears” – you won’t be disappointed. 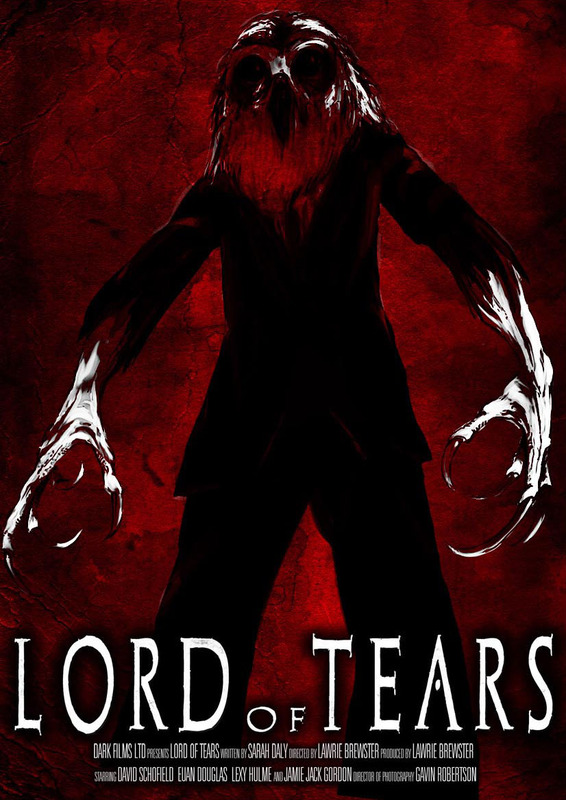 "Lord of Tears" had its World Premiere on 10/25/2013 at the Bram Stoker International Film Festival. You can order the special collector’s edition DVD or Bluray, soundtrack CD and other Owl Man goodies direct from the Hex Media's website.